As a Mom who is a bit on the “crunchy” side, I take pride in my little people’s self-directed health choices the same way most other Moms beam over soccer goals or ballet recitals. Take last night for example, when my 6 year old son asked me for a snack of plain celery which then prompted my 4 year old daughter AND my 10 month old son to ask for some too. Another aspect of my kiddos’ health that I am ultra proud of is their water intake. We are a family that goes through a crazy amount of water. We don’t drink juice or soda in our home (we tend to be sticklers about sugar intake), so water is our primary beverage of choice. Why? 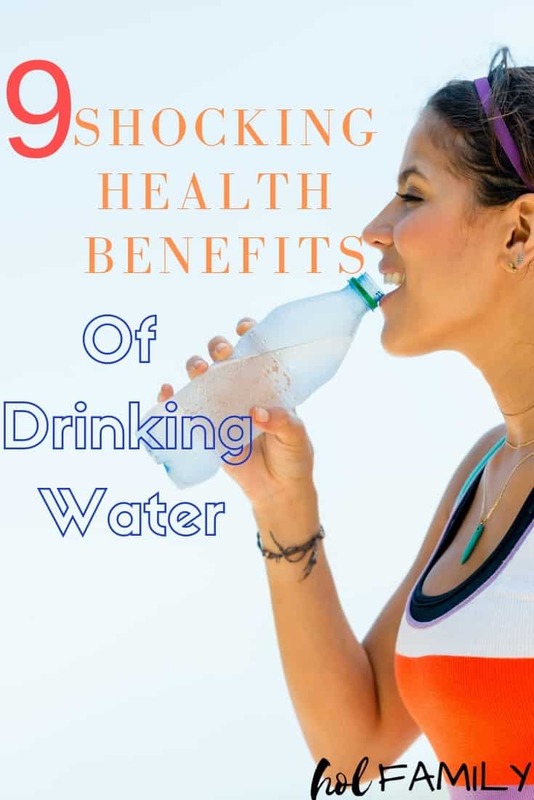 Because drinking enough pure and clean water is the number one most important thing you can do to improve your health! The best part about this health hack is that it is simple (just drink more water), versatile (hot, cold, fizzy, fruit infused, herb infused, etc. ), and FREE! Research about exactly how drinking more water (especially before meals) enables the body to burn more fat and lose weight is unclear, but some studies have shown that it works (1)! Water increases calorie burning for up to an hour after consumption, and increases lipolysis (the process the body uses to breakdown fat) which requires water. 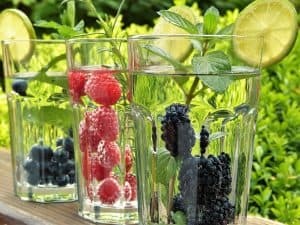 Reaching for a pre-meal glass of water also acts as an appetite suppressant, helping you to steer clear of higher calorie beverages and reducing the amount of food you eat during meals. Did you know that skin is actually our largest organ, weighing in at nearly 8 lbs in the average adult and measuring about 22 square feet (2)? When you consider that skin is 64% water, you realize the importance of drinking water for your skin’s hydration, elasticity, and overall appearance. Also, many individuals who battle oily skin or other skin conditions such as acne often find a huge reduction in breakouts when they increase their water intake. 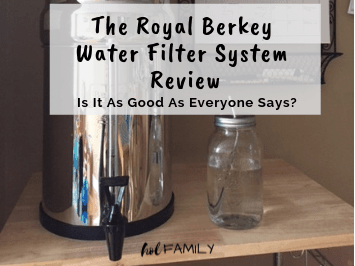 When I need an energy boost, I reach for a glass of clean pure water from our Berkey! Unlike coffee, which provides a temporary high before sending me crashing (and in search of my dark chocolate stash) mid-afternoon, drinking a glass of water can actually increase brain power. Your brain is ¾ water, and even slight dehydration can lead to a decrease in things like memory, motor function, attention, and other skills. In this case, water really is a no brainer! My Grandma always said that drinking a hot mug of lemon water would get sluggish bowels moving, and she may be right! 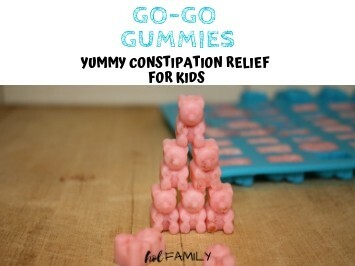 Constipation is very common in people of all ages, but can be especially anxiety provoking in children (and their poor parents…I speak from experience). 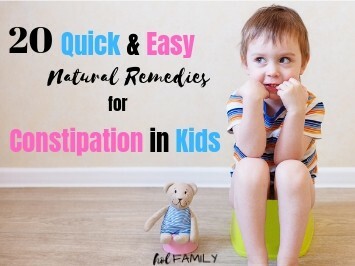 When food moves too slowly through the digestive tract, the body ends up absorbing most of the water content of the food resulting in dry, hard stools. One of the easiest remedies for preventing (and alleviating) constipation is to lubricate the bowels by drinking more water (3)! Staying properly hydrated may help you to ward off infections (or recover faster if you’ve already gotten sick). Drinking water can help your body to properly eliminate toxins and other waste products, allowing your immune system to function at its best. Remember when we talked about the brain being about 75% water? That means that it is very susceptible to dehydration. In fact, a dehydration headache is actually caused by the brain temporarily shrinking from fluid loss, pulling away from the skull. Ouch! Dehydration can also trigger and prolong migraine headaches (4). The good news is that the remedy (drinking water) can provide relief in as little as 30 minutes! Our bodies are truly remarkable creations, and it always fascinates me to learn more about how adaptable we are! If you’ve ever gotten sweaty on a hot summer day, you’ve experienced the built in cooling system of the body. Kind of like an internal thermostat, when our body temperature goes up, the body increases perspiration to help cool us down. The key ingredient of sweat is water, so staying hydrated is especially important in warmer temperatures. As a parent of three young children, I am all too familiar with the term “hangry” (hunger resulting in anger)…but did you know that being thirsty can also have an impact on mood? Even mild dehydration can result in confusion, anger, fatigue, and may even be a risk factor for delirium (4). Now, I’m not sure if offering your toddler a glass of water during the next tantrum will instantly change their mood, but it would be a good distraction and if your little ones are anything like mine…they probably could use some water to replace the amount of tears lost during those colossal meltdowns! Water is the key to removing toxins from the body. Our body primarily rids itself of toxins through the skin (sweating), the lungs (by breathing), the liver (in our stools), and the kidneys (through urine). In all of these cases, water is crucial for carrying the waste products out of our bodies. You can capitalize on water’s detoxifying effects by adding some fresh squeezed lemon! Warm lemon water (especially first thing in the morning) can help to stimulate the liver to release toxins. Like a well-oiled machine, your body operates at its best when it is properly hydrated. Every organ and cell in your body relies on water to be able to function. To be happy and healthy, you need to be hydrated! 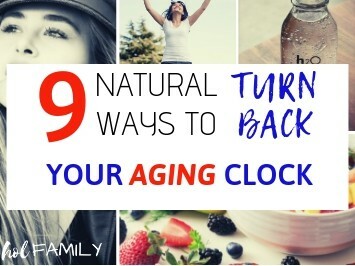 And don’t forget about the natural energy boost that water can provide! 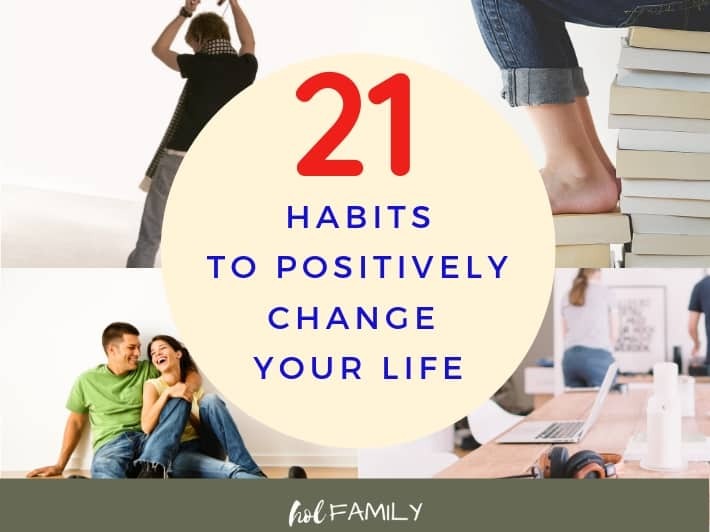 This is such a simple health solution and you can start right now. Why not make it a fun contest with your family? Make a challenge to see who can drink their recommended amount of water in one day! You’ll be having fun bonding as a family AND getting healthy at the same time! Bottoms up! What is your favorite tip for drinking more water? Leave a comment below and let us know!